Strapline: Political parties defying summons by CIC, a headless information commission and much more meant a low year for this otherwise strong transparency law in 2014. 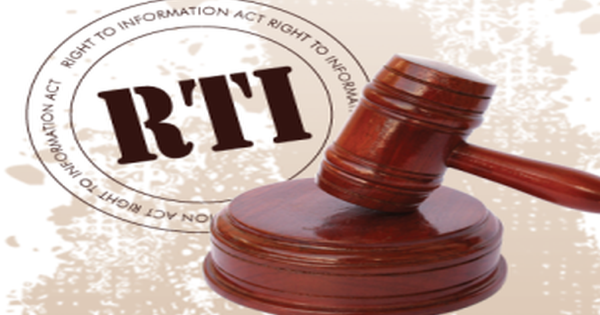 If 2014 was the triumph of the BJP which brought it to power with a thumping majority, it was also the year when this new government used its power to strangulate the Right To Information Act (RTI), as much as it could. Here are some of the milestones for RTI in 2014. BJP government’s clear allergy to transparency came in the form of procrastination in appointing the Chief Central Information Commissioner, the vacancy which continues since 23 August 2014. First, the government tried to give an excuse that it cannot take a decision in the absence of an opposition leader, despite the fact that the RTI Act clearly states that the leader of the biggest political group should be considered to be a part of this appointment committee. When media and RTI activists raised a hue and cry, it decided to call for entries from the public. Now that 200 citizens including all the seven central information commissioners applied, we still await the verdict of the government, which will hopefully come quickly and in early 2015. In the meanwhile, over 35,000 second appeals are pending due to the vacancy of Chief Central Information Commissioner, but the government clearly does not care. In June 2013, the CIC ordered that all political parties come under the RTI Act and declared them as public authorities. This was a result of tenacious pursuance by RTI activist Subhaschandra Agrawal and the NGO, Association of Democratic Reform through the RTI route. Ever since, the CIC has been sending summons to all the six major political parties to attend the hearing in order to hear their side, before making them public authorities. Earlier, it had directed them to appoint public information officers, but it fell on deaf ears. For the fourth time in November, CIC summoned them but all the major political parties – Indian National Congress (Congress), Communist Party of India (Marxist)-CPI(M), Communist Party of India (CPI), Nationalist Congress Party (NCP) and Bahujan Samaj Party (BSP), including the ruling BJP boycotted the hearing, reflecting their united stand to keep their funds, 75% of which comes from unknown donors. After the BJP government came to power at the Centre, in August the unthinkable happened, allegedly due to pressure from a senior BJP leader of Maharashtra. In a suspicious and strange turn of events, after four years of investigations the Central Bureau of Investigation (CBI), suddenly filed a closure report in the Satish Shetty murder case on 11th August. CBI investigations led to a 10,000 page report; several trips abroad by the investigative agencies and almost zeroing on 13 culprits, which gave a hope that the murder case of the Right to Information (RTI) activist would be solved. Suddenly the CBI informed the media about the closure of this sensational murder case, as it named the high profile owner of Ideal Road Builders (IRB), Virendra Mhaiskar, who is close to several top notch politicians of Maharashtra. A sub-registrar and others were also among the accused. The prominent one among the accused is allegedly known to be close to this political leader and hence the shocking turnaround. RTI activists suffered a deep blow in the loss of Satish Shetty and the eventual closure of his murder case. Former President of India, Pratibha Patil who was compelled to return the expansive 2,60,000 sq ft of premier Defence Land in Pune, which she was turning into a post-retirement luxurious mansion, allegedly played her role in interfering with Information commission appointments. Her former secretary, Rajendra Jadhav, received the plum post of Amravati’s Information Commissioner, which incidentally is Pratibha Patil’s home town. If that was not enough, Jadhav got additional charge as Pune’s Information Commissioner, despite the fact that it takes nine hours of travel from Amravati to Pune, making it unpractical to give him the additional charge. This was after Pune’s Information Commissioner M B Shah fell ill. In fact, information commissioners of Mumbai and Konkan, who can travel to and fro within three hours were ignored. Like icing on the cake for Jadhav, he was promptly provided an official residence within a short time, despite the fact that several senior officers were in queue for accommodation. The biggest violation though, was courtesy SCIC Ratnakar Gaikwad, who over-stepped norms of appointmentas only the Governor can appoint information commissioners, but there has been no action by the government on Gaikwad’s move.